I’m so tired from this weekend I’m not sure how many coherent words I can type. So I’ll make this quick and easy. 1. 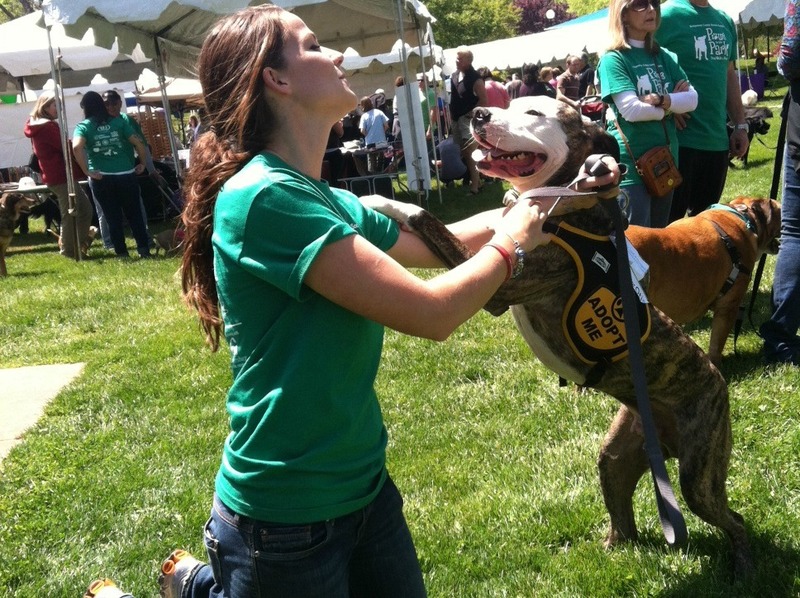 Paws in the Park was amazingly successful. 2. I can’t take much credit for the good turnout – the weather was absolutely perfect: 70’s and sunny. That brought a ton of people out. 3. I am sunburnt to a crisp, in all the best ways: sleeve lines, red neck, and watch tan. 4. My parents & boyfriend were nice enough to bring Otis for a little bit, even though I was too busy to see them a whole lot. 5. It was a very exciting reunion when I was finally able to stop a chat for a minute. You can tell I haven’t seen Otis in weeks (or so it may seem to him). 6. Otis made a new friend, sort of. 7. No adoption leads this time around, but it was still great exposure! 8. It was so great seeing all my favorite people from Jasmine’s House, as well as some blog followers I’d never met before. Thank you for saying hi! 9. Not sure who is more tired from this event: myself or Otis, who is currently snoring and out like a light next to me on the couch. Ah, to be a dog. 10. No brain power left to think of a #10. This entry was posted in Dog talk, Otis, Rescue/Humane Society and tagged dog walk, for adoption, fostering, fundraising event, humane society, mutt, Otis, Paws in the Park. Bookmark the permalink. Glad your event was such a success! 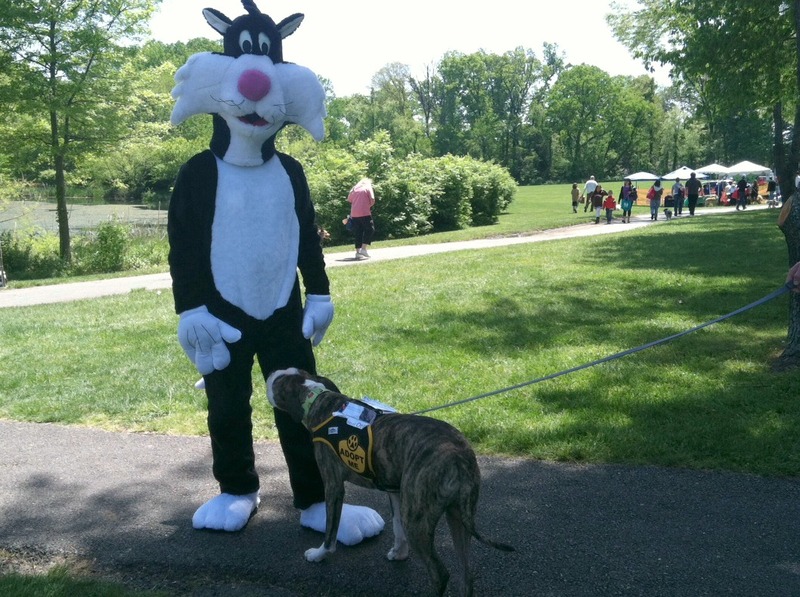 It’s pretty funny that there was a giant cat at a dog adoption event. This looks like an awesome event and it is always great news to see see this kind of exposure for dog adoption. I do hope Otis finds a forever home in the near future :). 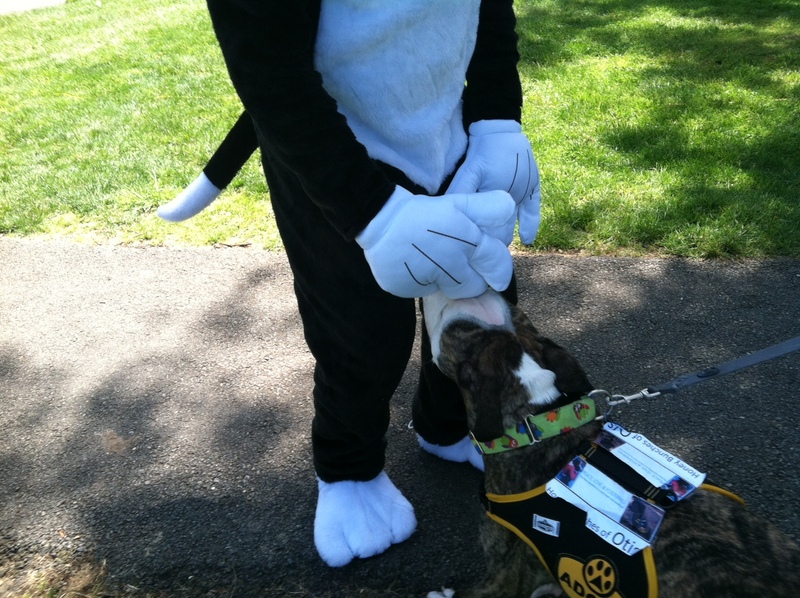 Well, I think it was great that you had a representative from the feline community at Paws in the Park! Otis seemed like he was having a great time!